Rather than moving into a long-term care facility as they age, many older adults prefer to stay at home for as long as possible. This may be the right choice for you if you only need minor assistance with your daily activities and enjoy a close network of nearby family and friends. These guidelines explore the range of home care services available to help you maintain your independence within the comfort of your own home. Is home care right for my loved one or me? It’s natural to want to stay at home as you grow older. However, taking a step back to look at the big picture can help you decide whether staying at home for the long term truly is the right step for you. Too often, decisions to leave home are suddenly made after a sudden loss or emergency, making adjustments all the more painful and difficult. Take a look at your options, your budget, and some of the alternatives. Interview several candidates, in person, before hiring. You could do an initial interview at a public place if you wanted to meet the person first before bringing them to your home. Even if you are working with an agency, it’s important to meet the person who has been matched to make sure it is the right fit. Be specific about the tasks that you need, and be sure that the person you are considering is comfortable with those tasks. Ask open-ended questions to assess the person’s experience and competence with these tasks. If you’re hiring an independent provider, it’s a good idea to make a contract outlining the tasks, payment procedures, and termination procedures. If you are working with an agency, make sure you understand what is covered. What exactly is covered in a contract? Are there additional fees that apply to specific services or add-ons? If needed, what are the procedures for termination or requesting another provider? Check references carefully. Always check references carefully from more than one source. Listen carefully to the person’s tone and information. Are they enthusiastic about the candidate, or are the answers vague and short? Also, look for unexplained gaps in references. Do background checks on top candidates. If you’re working through an agency, background checks are often provided, but you’ll want to check exactly what is covered and how the check is done. If you’re considering an independent provider, you can check on the Internet, your local police department, legal aid service, or an attorney for referrals to individuals or companies that do this. Don’t be afraid to move on if it’s not the right fit. It’s especially important that you feel comfortable with your provider, since this person is providing services in the privacy of your own home. If you don’t, try talking to the provider to see if that helps. Sometimes miscommunication can be ironed out. If not, don’t be afraid to find another provider and give your current provider notice. I’m worried my loved one is not safe at home. What should I do? Try to find the real reasons behind resistance. A seemingly resistant loved one could be frightened that he or she is no longer able to do tasks that were formerly so easy, or chronic untreated pain may be making it difficult. It might be more comfortable to deny it and minimize problems. Perhaps he or she is grieving the loss of a loved one, or frustrated at not being able to connect with friends. If your loved one has a hard time getting out and is losing support, he or she is also at risk for depression. Respect your loved one’s autonomy and involve him or her in decisions. 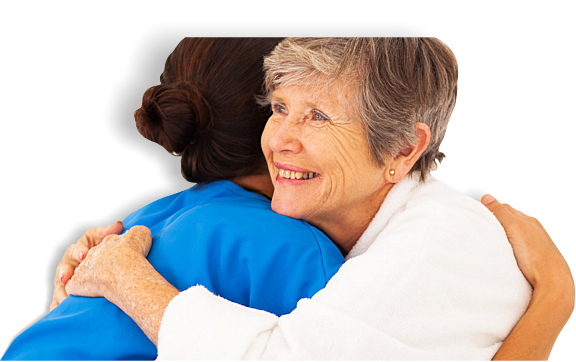 Unless your loved one is incapacitated, the final decision about care is up to him or her. You can help by offering suggestions and ideas. For example, what home care services might bridge the gap? If you’re worried that home care might not be enough, what other options are available? You can frame it as something to try temporarily instead of trying to impose a permanent solution. Enlist other help. Does your loved one know others who have used home care services, or have had to move? Talking to others who have had positive experiences can sometimes help remove fear of the unknown. You may want to consider having a meeting with your loved one’s doctor or hire a geriatric care manager. Sometimes hearing feedback from an unbiased third party can help a loved one realize that things need to change. The more love you feel, the less stress you experience – FEELING LOVED shows you how.